Cobblestone East Subdivision! Adorable & Affordable! This one level patio home is immaculate and ready for you! You will love the large vaulted living and dining room with gas fireplace. This home offers a white & bright kitchen with eating bar & pantry. Nice laundry room with storage area. A large master suite with a huge walk-in closet and private bath. A guest room and hall bath makes it easy when having company. The private fenced side & backyard offers a covered patio area with gas grill and a storage closet. Many nice extras and upgrades to this home. 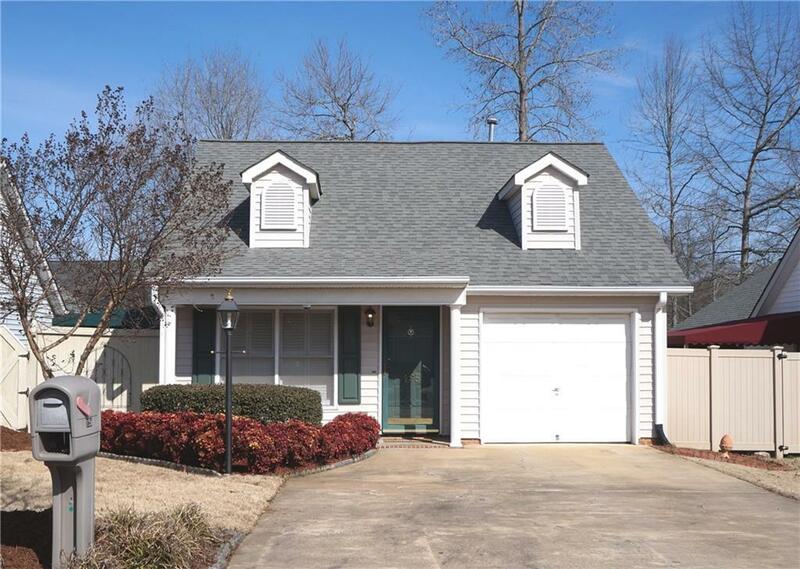 Hardwood Floors, Plantation Shutters, Security System, Newer Hot Water Heater and Newer HVAC. Cobblestone East has a nice courtyard area and beautiful entrance.